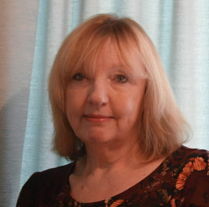 .I am an experienced and highly qualified psychotherapist with over 10 years experience in working with people in families, couples and individual settings. I also work for Relate. I am trained in the use of EMDR(Eye Movement Desensitisation and Reprocessing) I trained with the renowned EMDR Masterclass.This is a proven process that can re-establish a healthy core belief about the self. EMDR can help with childhood abuse or neglect, natural disaster, assault, road traffic accidents, trauma and workplace accidents. It is an effective therapy for children and young people. I have anumber of years experience in working with children and young people, as an employee of Relate, in schools and in private practice. I work in the Manchester area and I am based in Bolton and Hale.